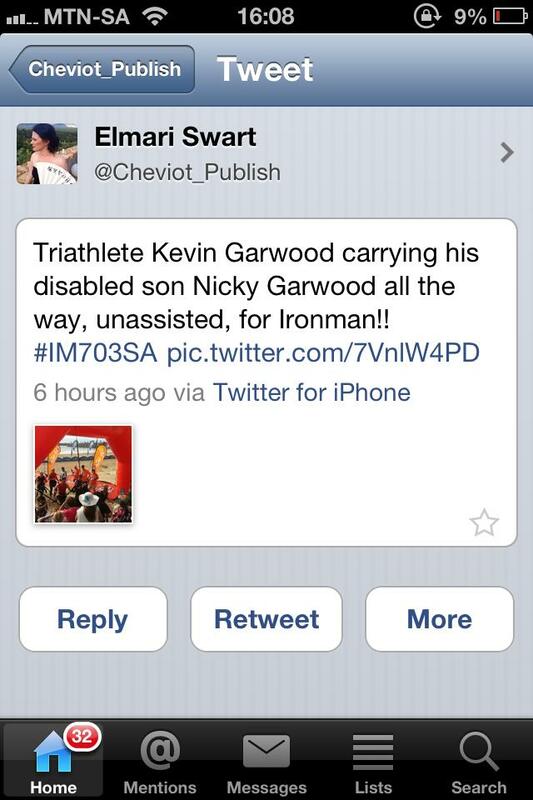 This entry was posted in My Inspiration and tagged half iron man, IM703SA, kevin garwood, nicholas garwood, Team Garwood by Bo. Bookmark the permalink. Thank you. 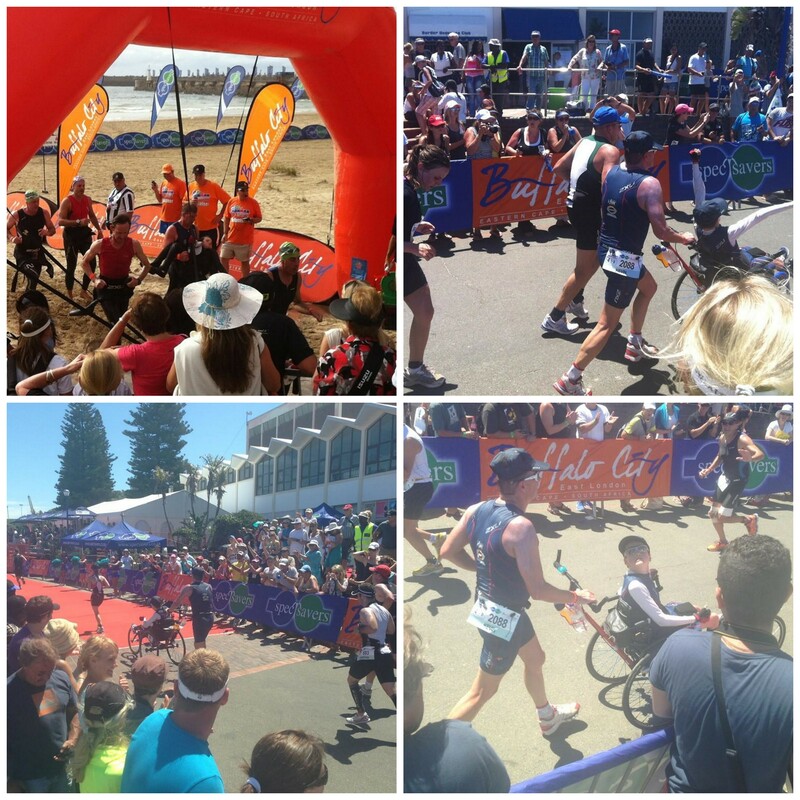 And it was amazing to see them racing and to see the reactions of all the athletes around them. One group of guys that ran past them was especially touching, as they ran past all the guys lifted their caps to them. So sweet. Wow…Two arms, two legs, completely covered in goosies right now! This is so inspiring. I don’t think I have enough guts to do the Iron Man, and this guy does it with extra weight! WAY TO GO!